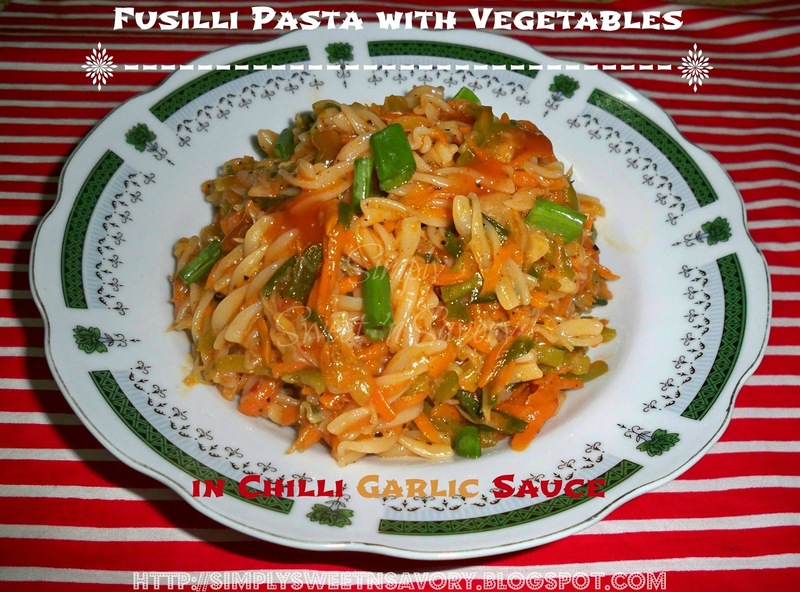 Fusilli Pasta with Vegetables in Chilli Garlic Sauce ...Simple, easy & quick pasta with vegetables, cooked in chilli garlic sauce. A complete meal ready in minutes! Baked Chicken Rolls or Buns ( No Yeast ) ... Quick rolls or buns made with baking powder instead of yeast that requires no kneading. 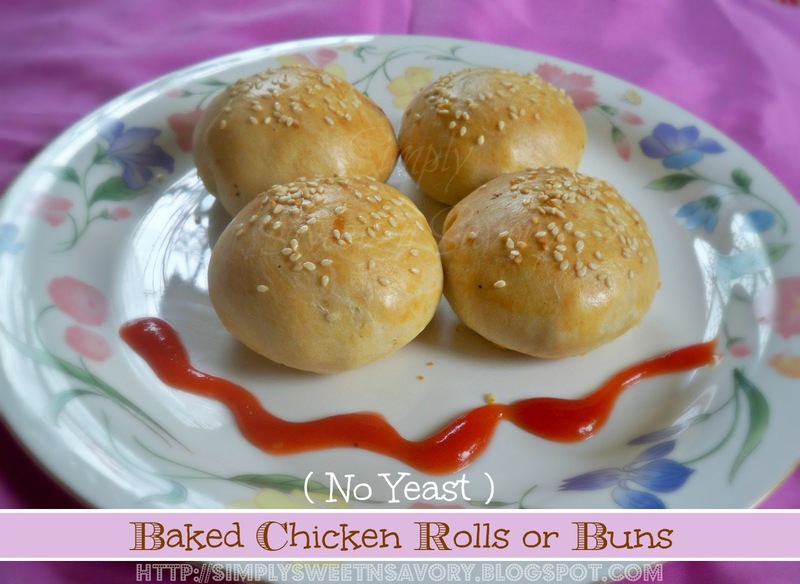 These delicious stuffed rolls are great for breakfast or as a snack. My very first guest post ... It's truly an honor for me to be guest posting today at Yummy Food . 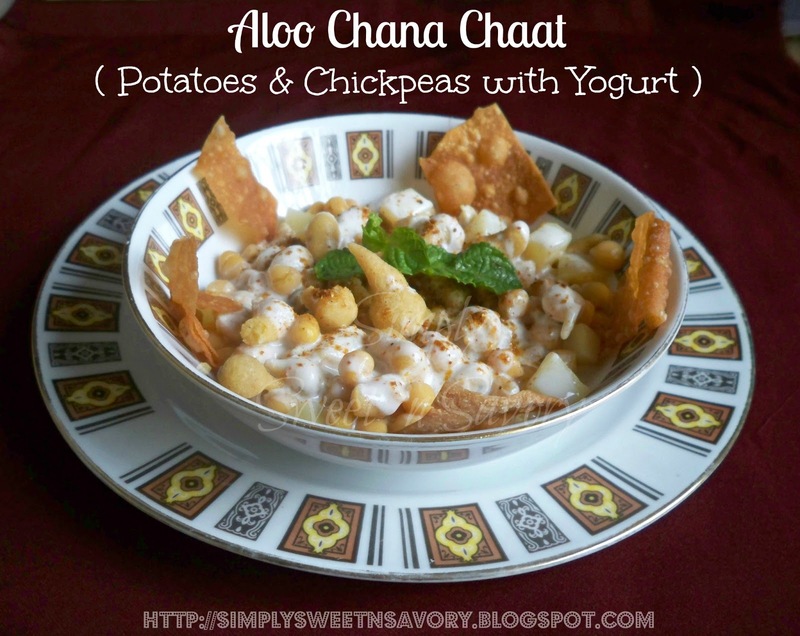 I was so excited when one of my favorite food blogger, Lubna of Yummy Food asked me for a guest post. I've always drooled over her delicious posts and beautiful clicks. Lubna is hosting a Ramadan event " Joy From Fasting To Feasting – VI " where Muslim food bloggers from around the world will share their favorite Ramadan recipes. 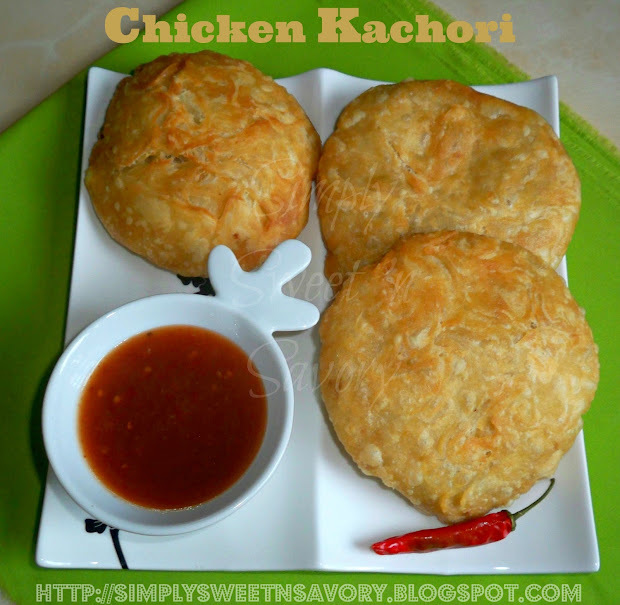 I’m sharing a delicious Chicken Kachori recipe for her blog. These are fried flaky pastries stuffed with cooked meat ( chicken, mutton or beef ), served as tea time snacks. Khubani ki Chutney ( Apricot Dipping Sauce ) ... A sweet and sour chutney or dipping sauce made of dried apricots, sugar and seasonings. 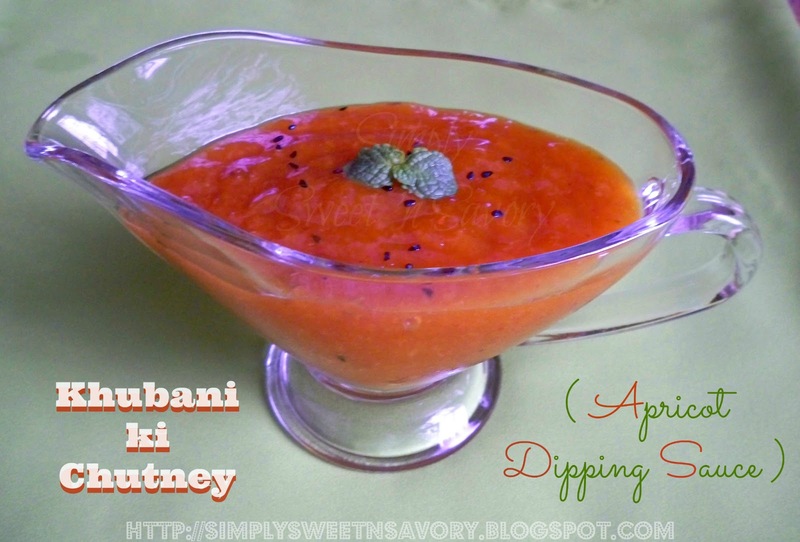 Serve as a dip with Rolls, Samosas, Sandwiches, Fritters or as a dressing over fruit salad. 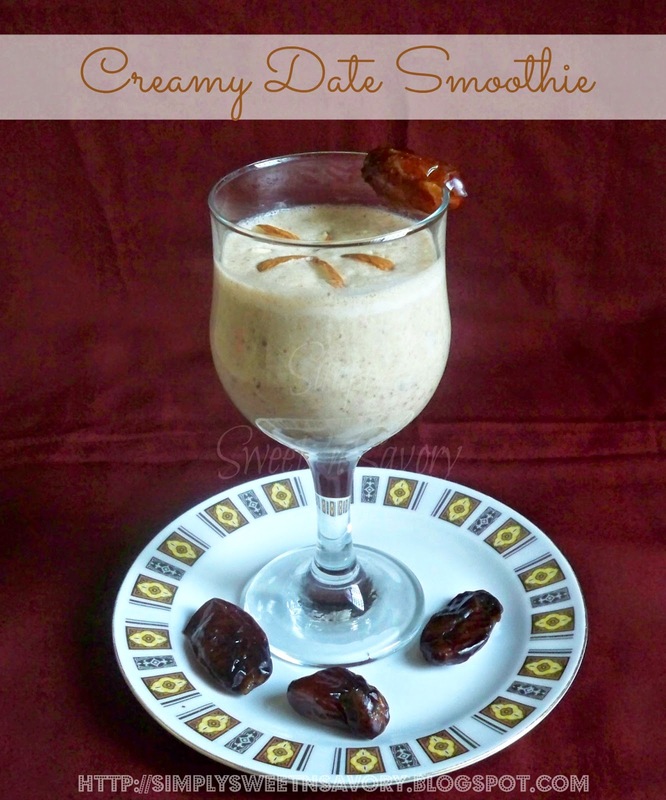 Creamy Date Smoothie ... A healthy, delicious and nutritious breakfast drink! This creamy and thick smoothie is perfect for Iftar or Sehri to get an extra boost of energy in Ramadan. 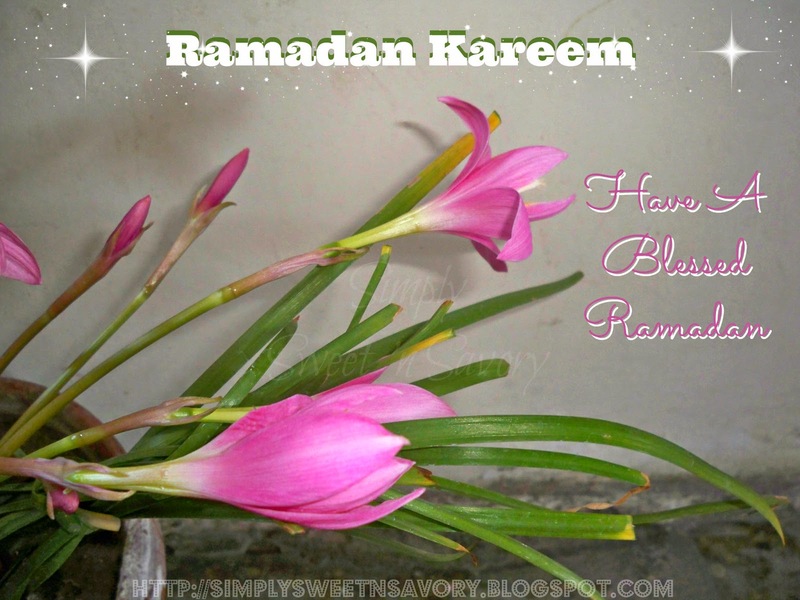 RAMADAN KAREEM to all the Muslims around the world! May Allah accept our prayers and shower His countless blessings upon us in this holy month! 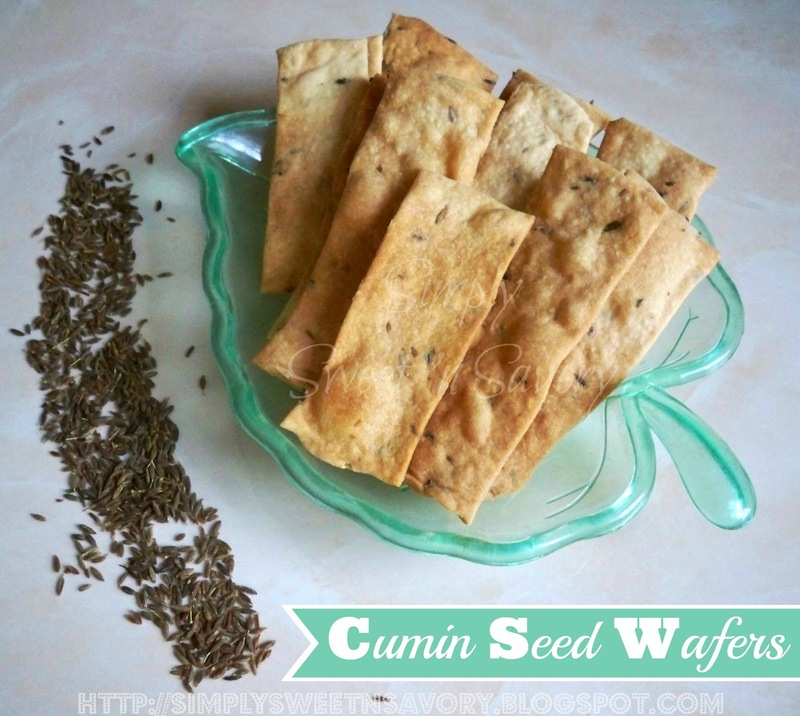 Cumin Seed Wafers ... These crispy wafers are great as a snack or an appetizer. Serve with your favorite dip or salsa, but they are equally good to much on without any dip.